The Half House cottage is the oldest in the hamlet of Cappercleuch. It has enormous character, if relatively compact physical dimensions. It is extremely cosy and is never left unheated in the winter so can comfortably accommodate guests off season. 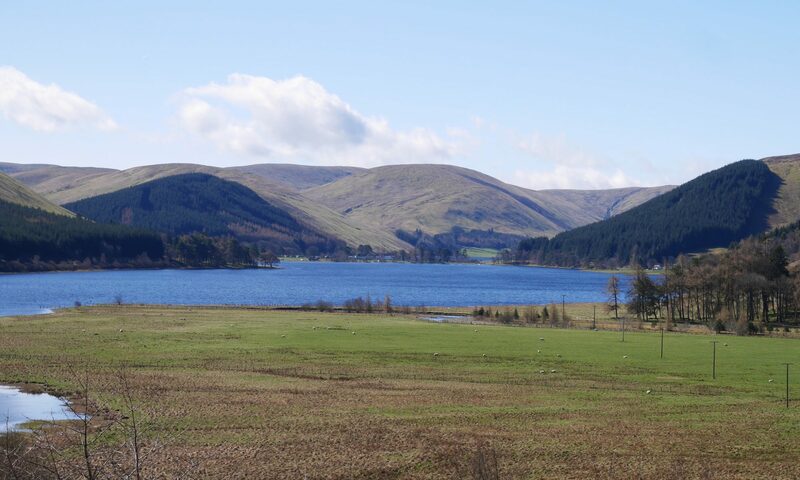 The owners also live in Cappercleuch so any issues you may have can be promptly resolved. Staying for a week? Owners offer one evening free “taxi” run and pickup from local pub. Locked garage storage is available for motorcycles, bicycles, kayaks etc. There are 3 steps up from the front gate and then a further step before the front door. Being an old property the door widths and positions would make it unsuitable/impossible for wheelchair use. It is possible to remain on the ground floor as that is where the bathroom and one of the bedrooms are located. The stairs are narrower than standard so it is not possible for a person giving assistance to be beside the person who requires support. There are several steps and uneven ground up to the rear garden area. Please email or telephone to check specifics if you or one of your party has questions about access.